Expect us to be ready for you. We think our Guests are VIPs and we want to show you the VIP treatment. Our Volunteers will be ready to give you a tour, help you find a seat and answer any questions. We also recognize that not everyone is up for the meet and greet during their first visit. No pressure, we just want you to feel comfortable and know our team is ready to serve you. Experience authentic music and powerful messages, plus your kids will love all the energetic environments for birth to 5th graders! Wondering what to wear? Wear whatever is comfortable for you. You will see everything from shorts and flip flops to suit and ties. 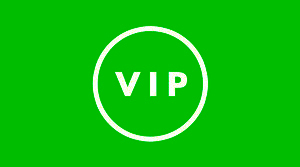 When you visit St. Luke for the first time, we consider you a VIP! That means you'll get the VIP treatment from the moment you enter our parking lot to the time you leave. That's about the only rule we have when it comes to dress code. You will see everything from shorts and flip flops to suits and ties. It's what's inside of you that is most important to us (and God). We meet at 1394 E. Nine Mile Rd. Our two Traditional Services meet in the sanctuary at 8a and 11a. Our Contemporary Service meets in the Connect Center at 9:30a. There is a gathering time for everyone outside the Connect Center from 9-9:30a and 10:30-10:50a. Clothes. You will see everything from shorts & flip flops to skirts and suits. It’s what’s inside of you that is most important to us — and God. In our Traditional Service, you will sing the hymns of the faith. There is typically a choir that will also present a choir anthem. In our Contemporary Service, a worship band leads newer praise choruses, many that you will have heard on the radio from artists like Hillsong, Chris Tomlin and Elevation Worship. Pastor Larry believes in the unchanging and authoritative Word of God. He discusses topics that are relevant to the culture we live in today and addresses spiritual, emotional and physical issues we face every day. Yes! We currently have age-graded kids environments with curriculum and topics relevant for ages birth through 5th grade. Do you have kids and students environments? Absolutely! We love the next generation and believe that they're our future leaders! St. Luke Youth gatherings are safe, fun and engaging! The children meet during the 9:30a and 11a service for Sunday school. Wednesday evening Splash for children is at 6p. There is also a graded chior that starts at 5:15a on Wednesday. The youth meet in the Youth Center at 11a on Sunday mornings, 5p Sunday evenings, and 6p on Wednesday evenings. We have plenty of parking on our campus around the church building. At the front of church, there is a paved parking lot with handicap spots.